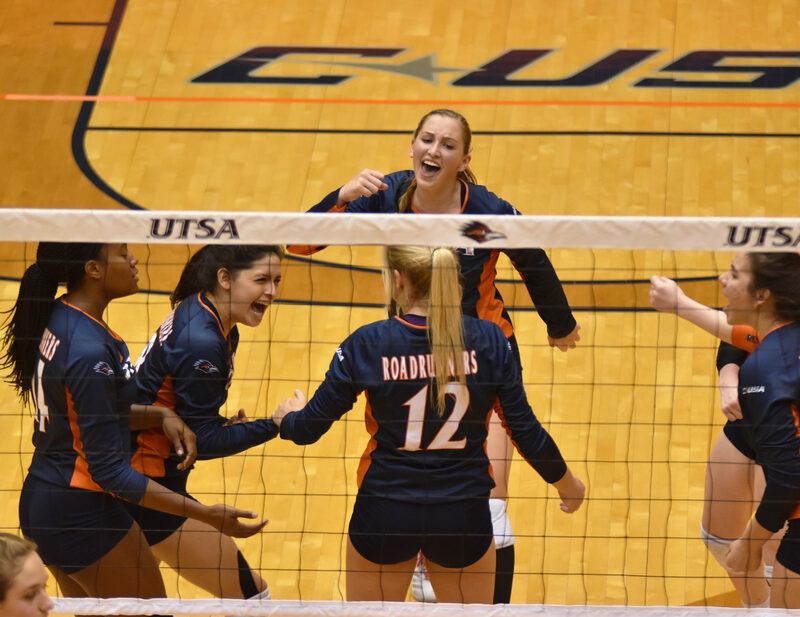 The UTSA volleyball team is heading to conference this upcoming weekend with a boost of confidence from their victory against UTEP this past Saturday, Nov. 10. 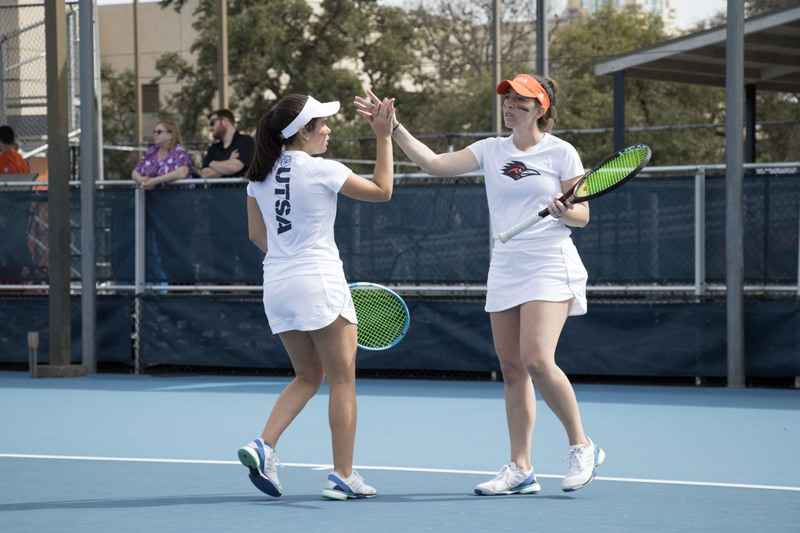 UTSA won their third straight game to finish the year in a tie for second in the league standings with a score of 3-0 against UTEP. Special recognition goes to Brianna McCulloch and Kara Teal, who gave strong performances. The Roadrunners also honored their trio of seniors, Ashley Dominguez, Shelby Williams and Ashley Gonzalez as their season is close to an end at UTSA. A kill made by UTSA’s Kirby Smith started the first set. UTEP was quick to get ahead but the Roadrunners made sure to stay on their toes to keep up. Consecutive kills made by freshman, Hannah Lopez, put the ‘Runners up to 8-3. Dominguez made a swift dig to keep the point alive for Smith to make the kill. ‘Runners were up 14-9. Teal made sure any attempted kills by UTEP were blocked. Big swings by McCulloch and Hannah Froeschl gave the ‘Runners a lead at 22-12. Kenedi Rutherford’s first kill of the game gave UTSA the first set, 25-12. McCulloch was on fire yet again in the second set. She made three consecutive kills for the first four points of the set. UTSA and UTEP traded off the next few points but UTSA remained in the lead at 14-12. UTEP caught up at 19-18, which caused UTSA to call a timeout. Nonetheless, UTSA won the second set at 24-20. Both teams traded off the first few points in the third set. Smith’s sixth kill of the day landed UTSA on the board. Teal and McCulloch made several kills which put UTSA up at 4-3. As UTEP caught up at 12-11, UTSA called a timeout. UTEP then made the set even at 12-12. 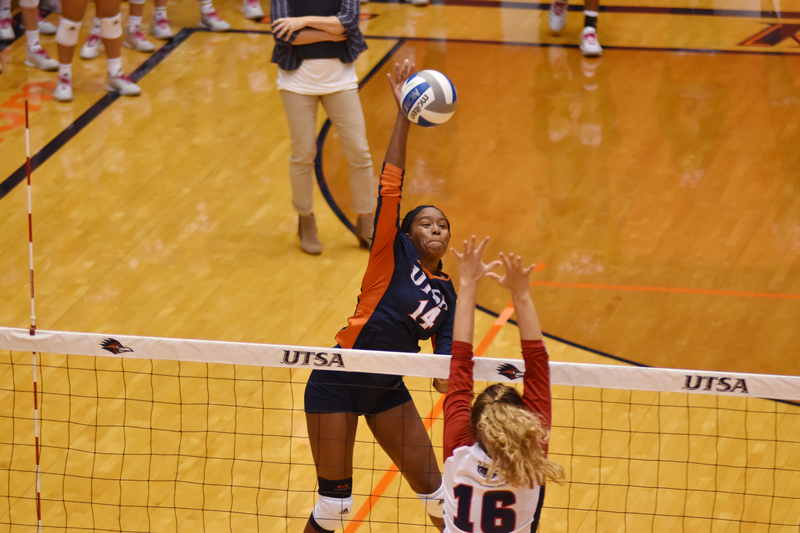 McCulloch made a kill which put UTSA in the lead again at 14-12. Her 12th kill in the Saturday game put the ‘Runners in the lead at 16-14. The UTSA ‘Runners were sure to stay in the lead, as the score came closer to the end. Lopez made a massive kill which kept the girls on track. UTSA came out on top to finish the third set at 25-21. Picked to finish sixth in the preseason, UTSA volleyball has finished second place in the Conference USA regular-season standings and will earn No. 3 seed. UTSA will face FIU (17-11, 9-5) this Friday, Nov. 16 at Marshall’s Cam Henderson Center.